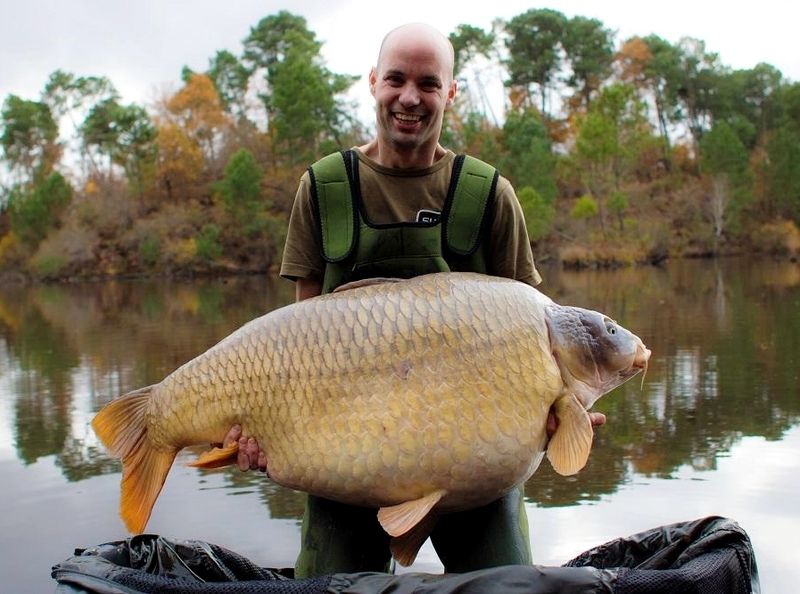 A monster 92lb (41.8kg) carp has been caught on CompleX-T.
Dutch angler Dominik van den Eijkhof banked the huge specimen, known as ‘The Scar’ while carp fishing this week on France’s renowned Rainbow Lake (Lac De Curton). Dominik tempted the dream fish using a 20mm CompleX-T boilie, rigged snowman style alongside a 15mm CompleX-T Fluro pop-up, feeding matching boilies over the top. The dutchman was fishing alongside Dynamite man, Frank Wijnands as the pair practiced for the forthcoming International Balaton Carp Cup. The 41.8kg fish was thought to have gone missing as it hasn’t appeared since early 2018 and is now thought to be the biggest living fish in the venue and one of the biggest carp in the world! 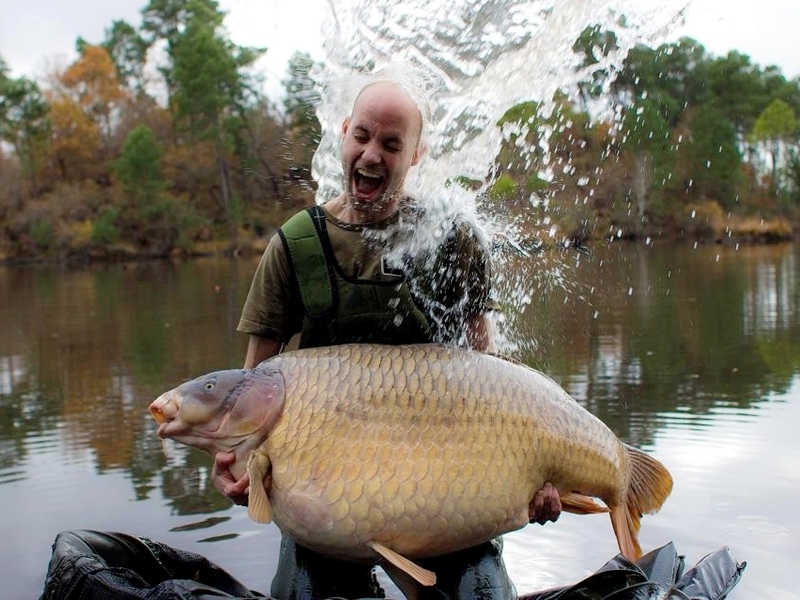 The specimen is just one of several monster specimens landed recently using the Terry Hearn developed bait as it comes just a week after Kristof Cuderman set a new record of catching a 70lb plus carp from seven different nations with the capture of a 71lb 2oz Slovenian giant. This fish was also caught using a CompleX-T pop-up..